At the beginning of every year, people make goals and predictions about the year to come. The beginning of 2019 was no different. The National Public Radio Goats and Soda blog sought predictions for the year ahead, and two are particularly relevant to the urgency to take on typhoid. One prediction is that Africa’s urban slums will grow. With an incredibly young population, more people will move from rural communities to urban centers, putting a strain on already stretched infrastructure systems. The additional burden on water and sewer systems in particular presents a challenge to efficiently prevent and control typhoid. 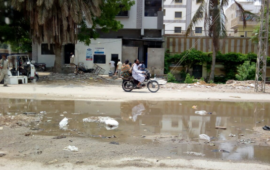 If service provisions do not evolve to meet the needs of the growing urban populations, typhoid will continue to spread, and chances of an outbreak may increase. The importance of typhoid conjugate vaccine (TCV) being introduced in African countries with growing urban slums cannot be overstated. The urgency is high, and the time is now. TCVs have the potential to drastically cut typhoid burden and protect the youngest children living in densely populated urban slums. 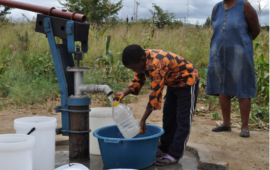 The introduction of TCV does not negate the need for improved water and sanitation services. Rather, the integrated approach of both interventions is the one-two-punch needed to stop typhoid in its tracks. Additionally, there are predictions that we will see more significant disease outbreaks. There is already a global increase in the spread of infectious disease, and there are no signs that this trend will slow down. 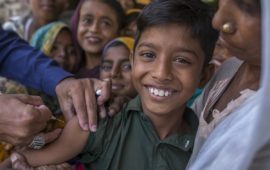 The reality is, however, that we continue to see two ongoing typhoid outbreaks that have impacted thousands of families in Pakistan and Zimbabwe. There is every potential that these outbreaks may continue―or grow―without effective interventions, including TCV and improved access to safe water and adequate sanitation facilities. The most urgent factor in the potential for increased outbreaks is the growing incidence of drug-resistant typhoid. Increasingly, as lab results show typhoid strains that are resistant to multiple antibiotics, the ability to treat patients gets more difficult and more costly. The best solution is to prevent these cases from spreading in the first place. TCV offers protection against drug-resistant typhoid and keeps communities from suffering costly and time-consuming fights against typhoid. As we move into a new year, predictions abound. The reality, though, is that we can do something to influence how the reality unfolds. 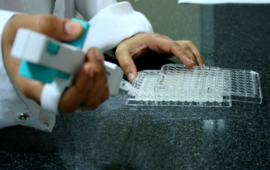 Decision-makers in typhoid-endemic countries and countries with a high burden of drug-resistant typhoid must make the decision to introduce TCV. Scientists and researchers continue to inform us about typhoid burden, evolutions in drug resistance, and TCV efficacy. Doctors, nurses, and health care workers are poised and ready to incorporate TCV into their health care systems. The ball is in our court. Predictions for 2019 also include progress toward universal health care (UHC), the notion that all people should benefit from quality health services, medicines, and vaccinations, and that no one should suffer financial hardship to access these services. Preventing and controlling typhoid is particularly important in the quest for UHC as diagnosis and treatment can be difficult, costly, and can have a detrimental impact on not only the patient, but also the patient’s family. As we tackle increasing urbanization, the potential for increased outbreaks, and work toward UHC, let’s remember what we know: we have the tools and interventions to keep people protected against typhoid. We must ensure that all communities have access to these tools, and that when people do fall ill, they can reach the necessary services for a speedy recovery. Remember, predictions don’t always come true. It is in our power to shape the year ahead. 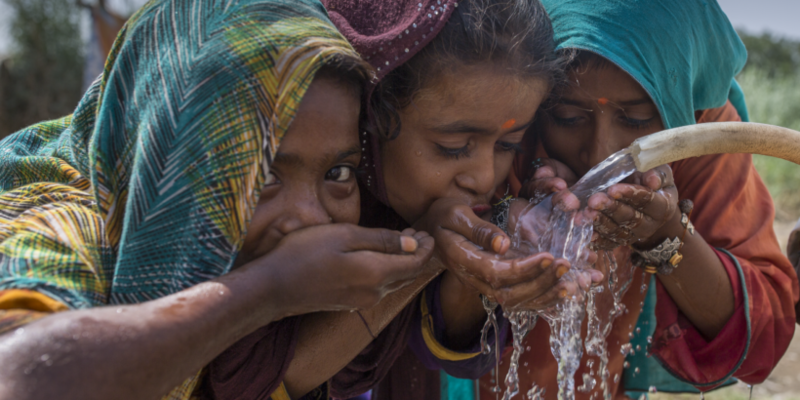 Here’s to improved water and sanitation infrastructure, fewer outbreaks, and gigantic strides toward achieving universal health coverage.